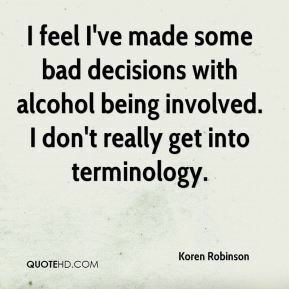 I feel I've made some bad decisions with alcohol being involved. I don't really get into terminology. I left college early, I was immature, ... You go through certain things, but you learn from them and it builds character. I feel like everything happens for a reason, and I feel like God was putting me through those things to get me to the point right here and I feel like I am a better person. With me becoming a better person, out there on the field it is going to do nothing but benefit me. 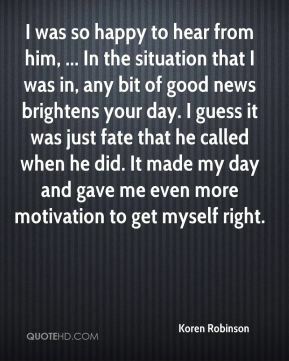 I was so happy to hear from him, ... In the situation that I was in, any bit of good news brightens your day. I guess it was just fate that he called when he did. It made my day and gave me even more motivation to get myself right. Sometimes we get caught up in this lifestyle that we live. That's what I felt like I was doing. I made a bad decision and made mistakes. I'm also man enough to see my mistakes and be willing to do something about them. I wasn't sure I'd get another chance. 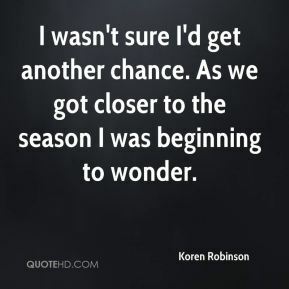 As we got closer to the season I was beginning to wonder. I definitely got caught up in the NFL lifestyle. That didn't get me where I wanted to go, where I wanted to be. I had to do something else, man. Being down there in that treatment facility, man, it just made me reflect on everything as far as growing up as a little kid to that point. I'd been taking a lot of things for granted. I see that. I'm just ready to move forward with my life and my career. 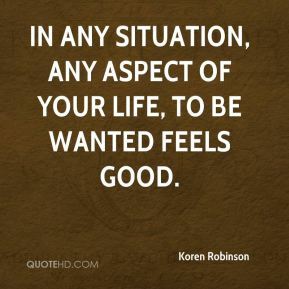 In any situation, any aspect of your life, to be wanted feels good. I definitely got caught up in the NFL lifestyle. I see that. 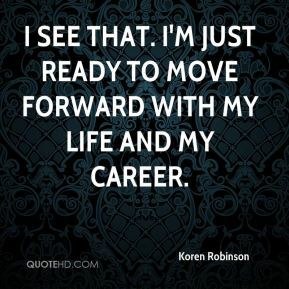 I'm just ready to move forward with my life and my career. 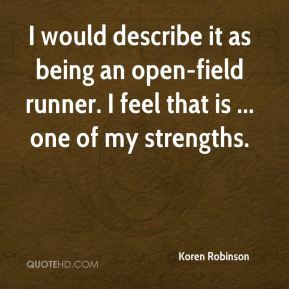 I would describe it as being an open-field runner. I feel that is ... one of my strengths. I'm just happy, ... Happy that I can get the opportunity to do something I love, that's to play football. When someone tries to take something away from you that you love, it really makes you think about how special it is. 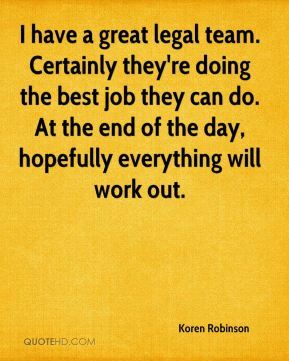 I have a great legal team. Certainly they're doing the best job they can do. At the end of the day, hopefully everything will work out. 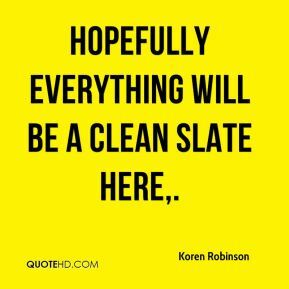 Hopefully everything will be a clean slate here. I don't want to dwell on the past, but I have to always think about it. 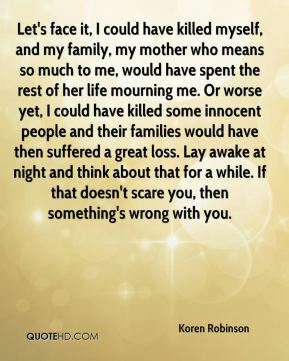 I don't want to experience that feeling or be in that place anymore. I can't describe how it feels. 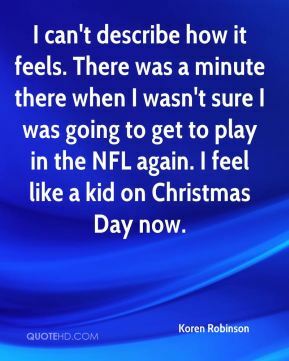 There was a minute there when I wasn't sure I was going to get to play in the NFL again. I feel like a kid on Christmas Day now. 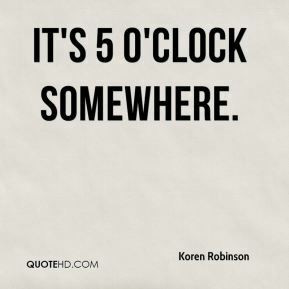 I knew I wasn't just going to come in and start. I had to be willing to drop my pride and ego and all those things and be willing to do anything to help the team. 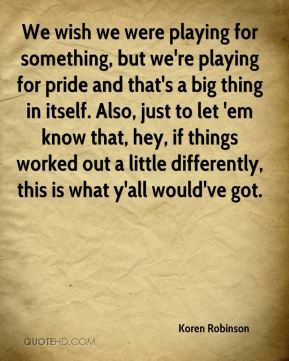 We wish we were playing for something, but we're playing for pride and that's a big thing in itself. Also, just to let 'em know that, hey, if things worked out a little differently, this is what y'all would've got. It's a funny feeling right now. 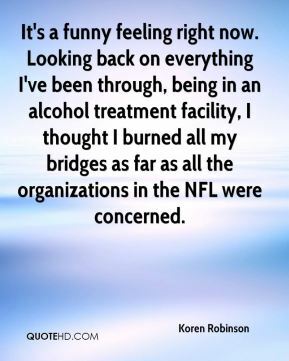 Looking back on everything I've been through, being in an alcohol treatment facility, I thought I burned all my bridges as far as all the organizations in the NFL were concerned. It's not enough for me to just say I'm sorry for the things I did. I have to basically live out the sorry part with everything I do on a daily basis. But, yeah, being here, just looking around this place, being on the field with such great players, shows me how far I've come in a very short period of time. It is like heaven to me. And it reminds me that, whatever I've done to get things turned around in my life, well, I've got to keep doing it. 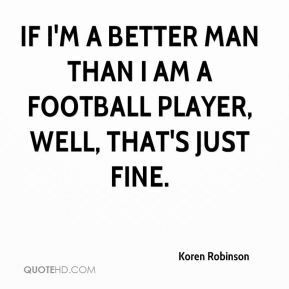 If I'm a better man than I am a football player, well, that's just fine. Great pickup, great guy, great team player. 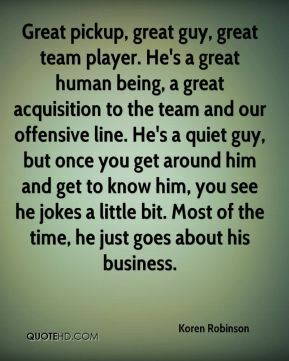 He's a great human being, a great acquisition to the team and our offensive line. He's a quiet guy, but once you get around him and get to know him, you see he jokes a little bit. Most of the time, he just goes about his business.